Unable to enroll Macs using Network Discovery. Network Discovery duration is set only to 5 minutes. Basic start delay of Network Discovery is 299seconds(5minutes), so Network Discovery is hardly able to start. 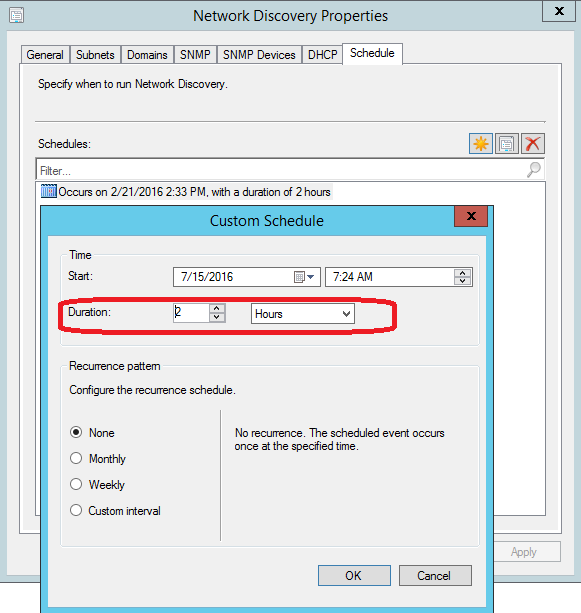 Recommended duration of Network Discovery is from 2 to 5 hours.